“In my sixty-two years, it was the most powerful congregation I have been part of,” said James Brady, Air Force veteran and Board member of Louisiana Association of Cooperatives. The sentiment was echoed by many as speakers gave first-hand accounts of the healing, sense of purpose and career opportunities that returning veterans were finding on America’s farms. 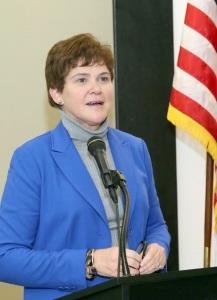 Deputy Secretary Krysta Harden used her keynote address to name fellow conference attendee Karis Gutter (on left in picture above) the first Military Veteran Agricultural Liaison at the USDA. Gutter, a native of Terry, Mississippi (pop. 1,099), began his career in public service as an enlisted United States Marine Corp Reservist. Gutter served as a Corporal in the Marine Corps and a communications and field radio operator, participating in humanitarian relief in support of September 11 and Hurricane Katrina. “Serving as USDA’s first Military Veterans Agricultural Liaison is a great honor,” said Gutter. “As a Marine, I know military veterans have unique skills, training and perspective. My job is to make sure military veterans have full access to USDA’s resources and services to help them succeed in civilian life.” The USDA Military Veterans Agricultural Liaison, which reports directly to the Office of the Secretary, is a new position created by the 2014 Farm Bill. Joining Gutter at the Plenary the next day were representatives of four other Departments of the Federal Government. Keith Kelly, Assistant to the Secretary of Labor, oversees Veterans Employment and Training Services (VETS). “Our main goal is to get veterans jobs,” said Kelly, a Vietnam veteran and past Secretary of Agriculture in two states: Montana and Arizona. “We don’t have a specific program for farmers and ranchers,” he said, but noted that the conference, bringing everyone together for the first time, could change that. Jaime Wood, Army veteran and Director for Policy and Engagement for the Office of Veterans Business Development (OVBD) at the Small Business Administration (SBA) agreed. “Veterans are 45% more likely to be self-employed than the general population. The resources from the SBA can help veterans succeed in self-employment.” She, too, looked forward to what the new collaborations could bring. Dr. Richard “Rick” Mestas led the panel. Dr. Mestas serves as Program Manager at the National Intelligence University, but spoke only in the capacity of his long-time role as Advisor to the Board of Directors of FVC. Mestas, whose career has spanned both military (Army) and education, pushed the panelists for ways they could cooperate across their departments to support rural veterans and a new generation of farmers, both issues critical to our national security. The most moving talks came from military veterans involved first hand in the transition to agriculture. Leaders of four organizations – Colin Archipley (USMC), Veterans Sustainable Agricultural Training (CA); Chris Brown (USMC), Growing Veterans (WA); Mike Lewis, Growing Warriors (KY); and James McCormick, Veterans and Warriors to Agriculture (WV) – gave compelling testimony about how their programs change, and in some cases, save lives. A panel of successful farmer veterans all touted their military experience as key to their ability to handle the rigor of a farming career. “In the military you are used to dealing with large, impossible situations where you need to think quick and be decisive, all great things that you need in farming” said Army veteran and fifth generation Minnesota farmer, Paul Zimmerman. Paul Kanning, who took over family land in remote Montana after 20 years in the Air Force, liked the frequent moving he did in the military and was worried about the isolation of his farm. 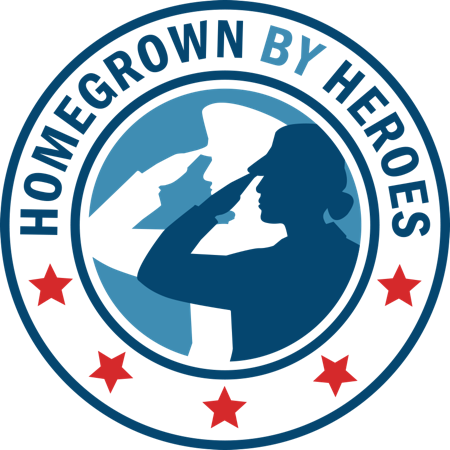 “It helps to connect with other farmers, particularly veterans,” Paul noted. Calvin Riggleman (USMC) charmed the crowd with stories of growing up on a farm in West Virginia dating back to before the Revolution. “I had never even been on a plane until they flew me to the Middle East,” said Riggleman, who explained how it was other soldiers from the cities who first told him about farmers markets and Community Supported Agriculture. Mickey Clayton (Army), talked about how she overcame obstacles of combat injury, being a first generation farmer, and being a woman to become one of the nation’s leading ranchers of Navajo-Churro sheep. Chris Holman, spoke of his transition from military linguistics to teaching to agriculture as he began making money with pasture-raised poultry, eggs and vegetables in Wisconsin. Mickey described how her herd went from a dozen scraggly sheep she found on Craigslist to the herd of 150 it is today, thanks to funding from her Bob Woodruff Farming Fellowship. The Fellowship allowed her to get a specially designed sheep squeeze so she could handle the large sheep despite the injury to her leg. “This goes beyond helping one wounded veteran to helping a growing community of women veteran farmers and a national community of shepherds raising this endangered breed,” she said. Before the conference ended, many attendees began asking where there would be a conference next year. (L-R) James Brady, Board Member of Louisiana Association of Cooperatives, and Dr. Walter A. Hill, Provost at Tuskegee University. “In my 62 years, it was the most powerful congregation I have been part of,” said Mr. Brady of the Conference. The conference was sponsored by Farm Credit, American Farm Bureau Federation, Niman Ranch, Bob Woodruff Foundation, CHS Inc., National AgrAbility Project, National Farmers Union, Farm Bureaus of Iowa, Arkansas, Missouri, South Carolina and Louisiana, Burpee Seeds, Blue River Hybrid Organic Seeds, Sterling College and Bactifeed. Hi, not only was it the best 21st Century Veterans Conference in America 2014. Many of of us will literally GROW from it! Congrats on a job well done to all who worked in the background to make it successful. Lettuce us pray the FVC keeps a strong heartBEET! Outstanding work! I salute all of you who collaborated on this effort. Thanks Michael. We came back to Vermont feeling like we belong to a national family now. Thank you all brothers and sisters who have served, bless those who continue to. I’ll tell you what, it’s 19 degrees but Farmer Veterans are hot and GROWING in Vermont! After reading in the May 2012 VFW magazine about Archie’s Acres, hydroponic farming, also the Combat Boots to Cowboy Boots program, plus the Farmer Veteran Coalition emphasizing sustainable practices and organic farming, and getting to meet the leaders of all those as well as other programs, this conference went way over the top on delivery. Thanks to all who put it together. It was rich. Great documentary also. I was thrilled with the turnout from so many states that are working toward developing the farmer veteran coalition. I believe the conference increased the awareness of the farmer veteran coalition nationally. After all, we came together to assist veterans as a group to develop, grow and succeed as our next generation of farmers and agribusiness leaders. 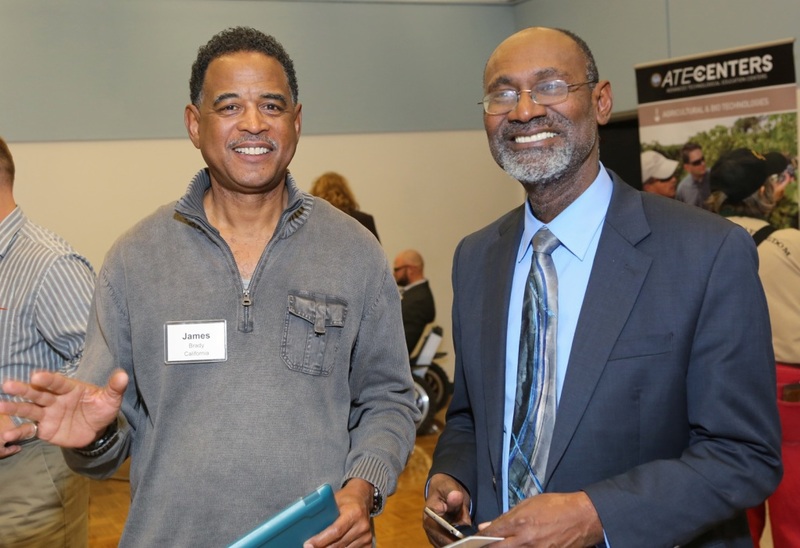 I think the conference connected veterans with resources and networks of information, programs, and organizations to help them further their transition into agriculture.